1. Not Routinely Cleaning Your Carpet: Vacuum carpets at least weekly. Monthly, use a crevice tool to clean baseboards and radiators. Vacuum large carpets one quadrant at a time while making two or three slow passes to get up all the dirt. Vacuum heavy traffic areas with overlapping strokes in a crisscross pattern. You can add some baking soda to your vacuum bag or canister to combat smell. Finally, hiring a professional residential carpet cleaning company in your area to come in and deep clean carpets on a routine basis can keep them feeling new. 2. Failing to Clean Spills and Spots: Always clean these immediately, before they dry and become harder to remove. First, scrape or blot the affected area. 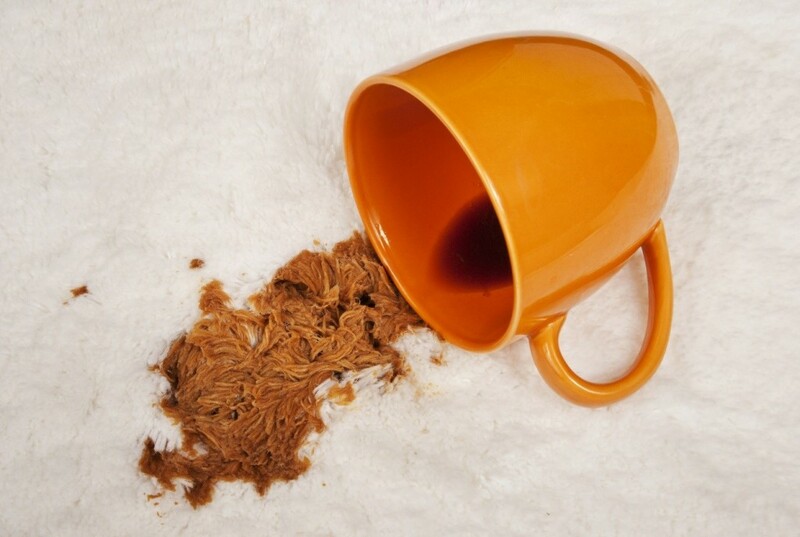 Test a corner of the carpet to make sure your cleaning solution won’t discolor or bleach the fibers. Apply spot cleaner from the outside in and blot up the excess. Lay down a white bath towel to dry the carpet, and brush the carpet fibers so that they are standing up again. If a spot is still wet, put down a stack of paper towels with a weight on top. Laying down an odor removing powder to let sit for a couple minutes and then vacuuming it can help reduce any stubborn odors as well. 4. Forgetting About Deep Cleaning: When the carpet gets sticky or stinky, you can either rent a shampoo machine, move furniture out of the way, and place plastic below the feet of immovable pieces or hire a professional carpet cleaning company to come in and take the hassle out of deep cleaning. If you choose to do it yourself, vacuum and spot-clean first. Prepare cleaning machine as per instructions and make single strokes over the carpet surface. Apply with a light touch, and wipe away any cleaner from furniture and woodwork. When done, fluff fibers against the fibers and stay off the carpet until it is completely dry. Avoiding these 4 simple carpet cleaning mistakes can help extend the life of your carpet, keep the indoor air quality at its peak and keep your home feeling fresh and presentable. As always, if you need professional carpet cleaning help contact your local Modernistic office for the best service today!